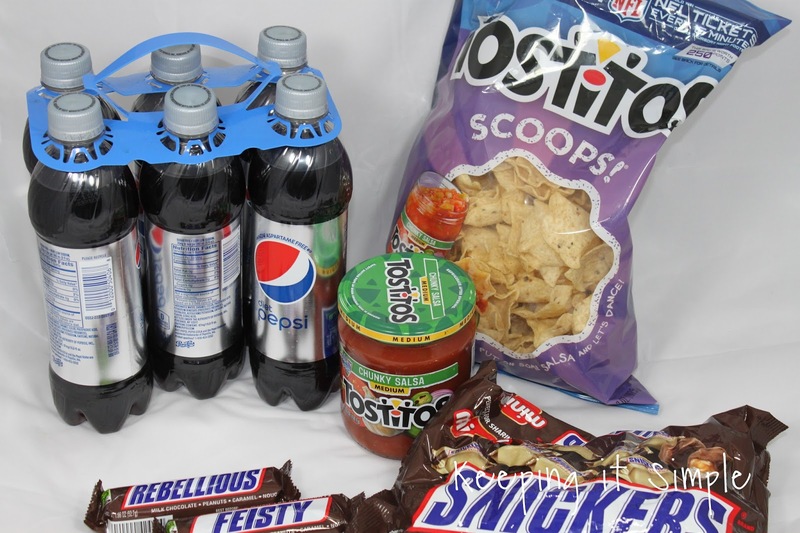 The playoffs are going on right now and we are super excited about them, how about you?!?! Did your team make the playoffs?! 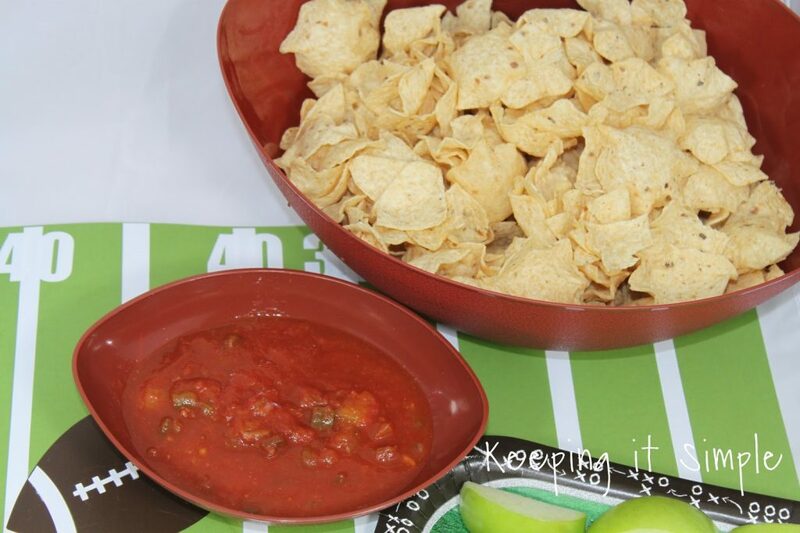 Are you watching them every weekend until the big game? We are pretty excited about the playoffs at our house because our team in the number one seed in their division :). This is the first year that my boys have really gotten into football so it has made it even more fun to watch the games together as a family. 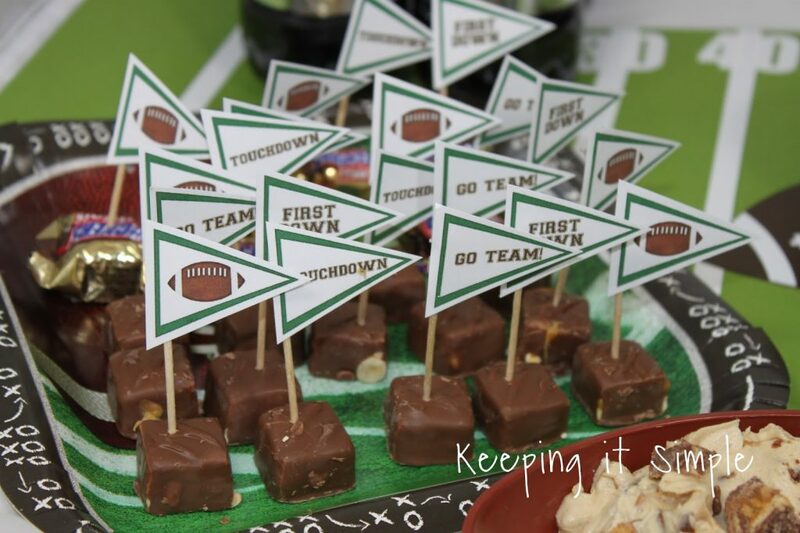 So it’s so much fun to make some awesome treats and foods for the games. 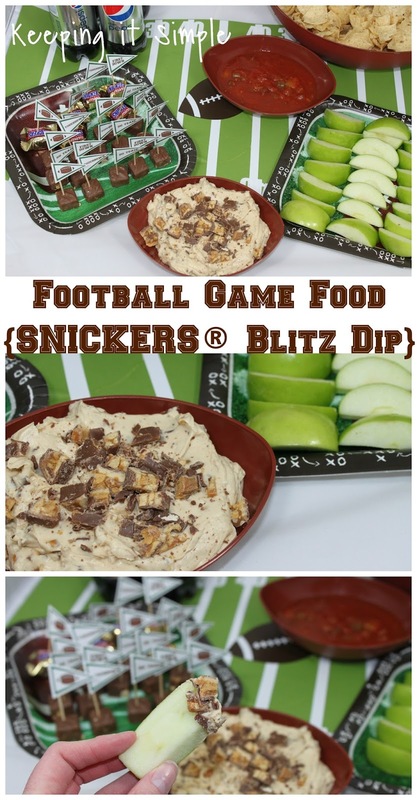 I made up some super easy and yummy foods that would be perfect for the football games, including this awesome SNICKERS® Blitz Dip. I headed to Safeway to pick up the ingredients for the recipe and for the other football foods. 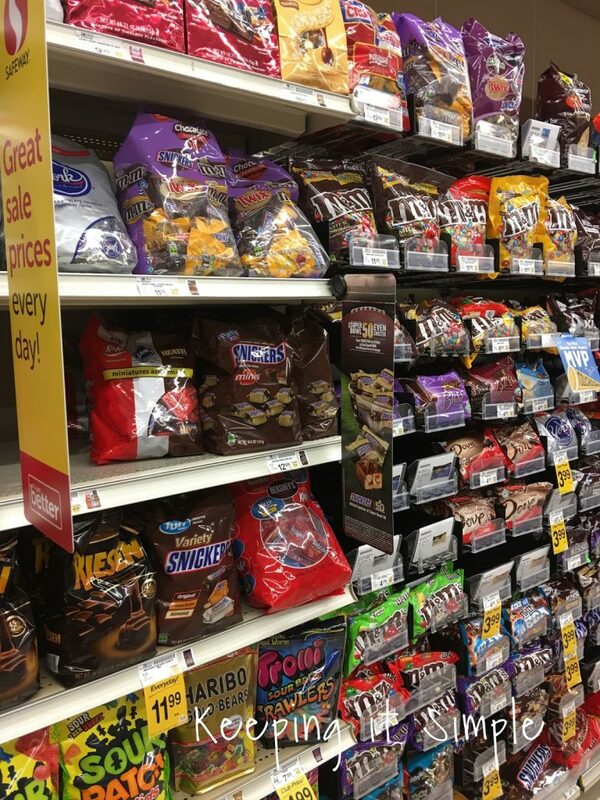 I found the SNICKERS® in the candy aisle. 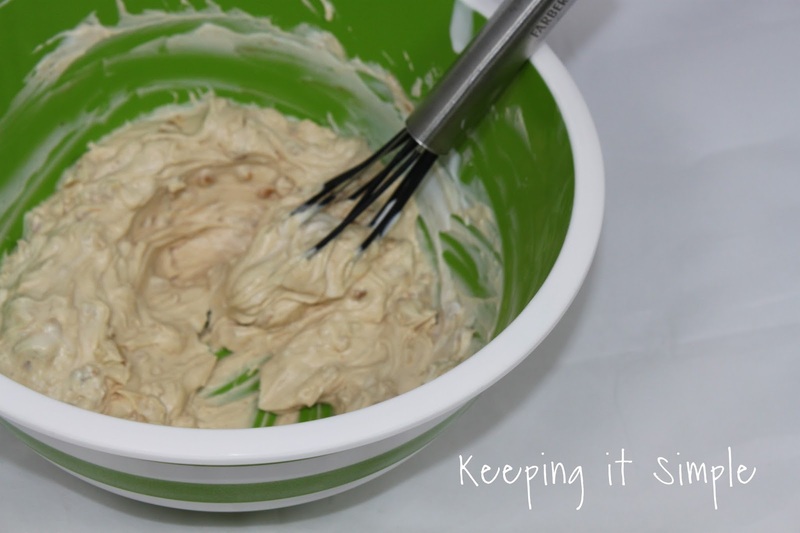 1) Mix up the yogurt and peanut butter together with a whisk. 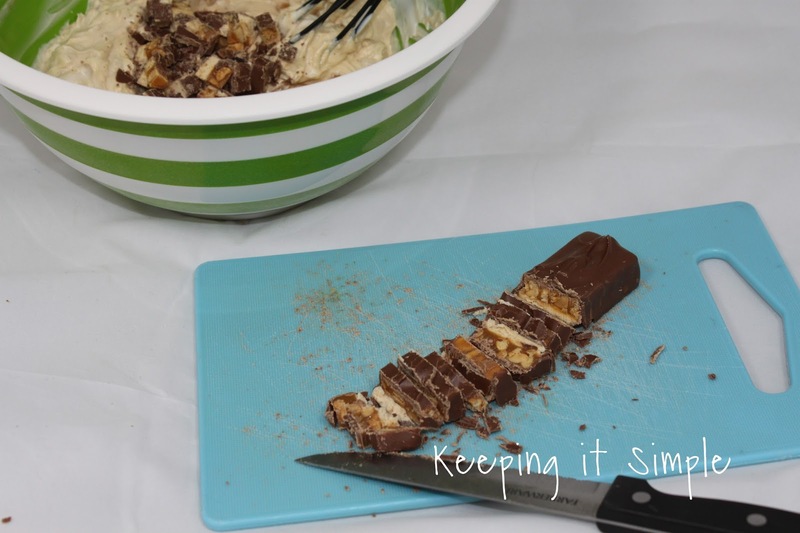 2) Dice up the SNICKERS® and add to the dip and mix. 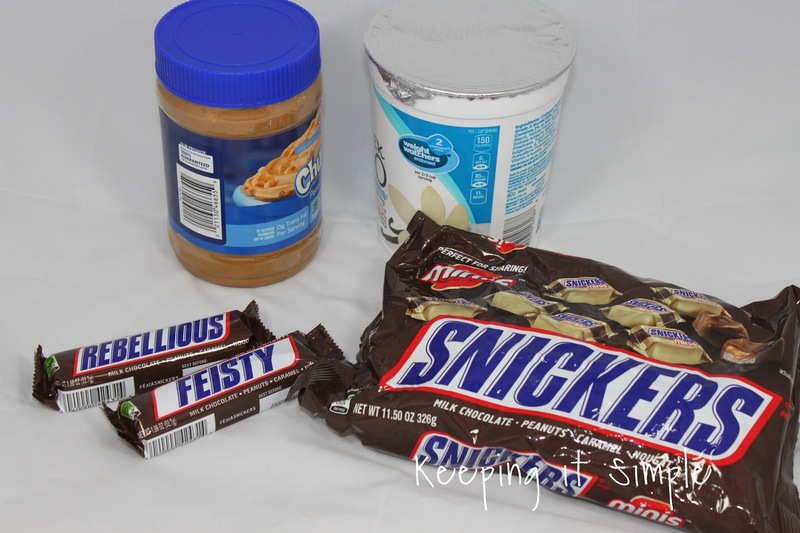 3) Add some more SNICKERS® onto the top and serve with apples. It is so very good and perfect for the game. I made these little flags to put onto the candies. You can get the printable here. I just printed them out, cut them and glued them onto a toothpick and put them into the candies. 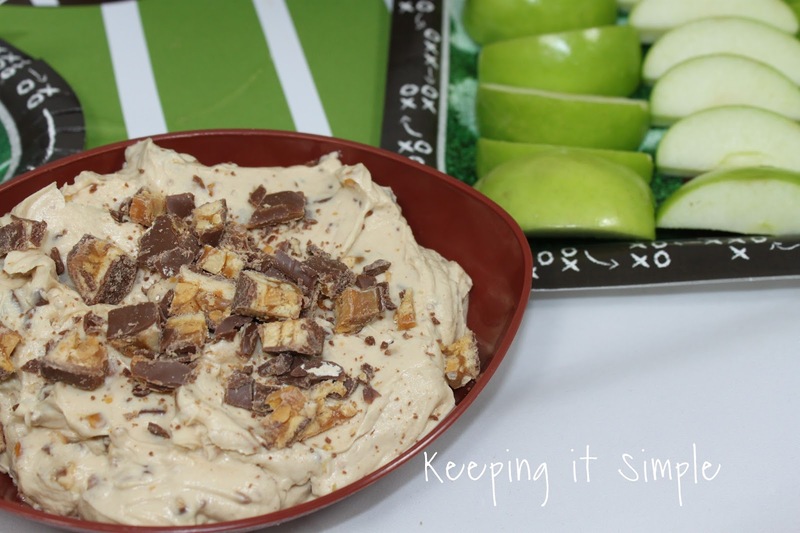 The dip was so good and tasted great with the apples, it’s definitely a dip that I will be making over and over again! 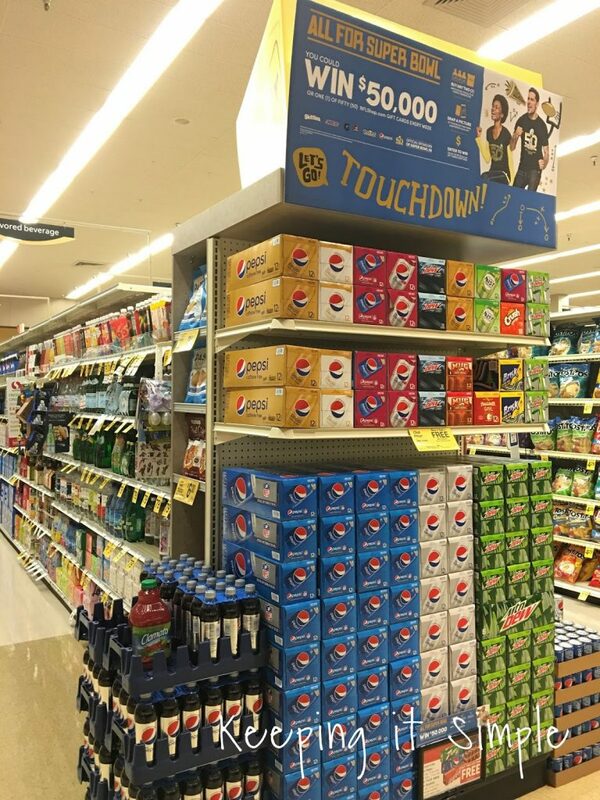 Make sure when you are shopping at Safeway, Albertsons or their banner stores, look for signage about the sweepstakes going on, like this one on the Pepsi display. One grand prize winner will get $50,000. And Bakery Deco Pac you can get a chance win a $500 shopping spree. 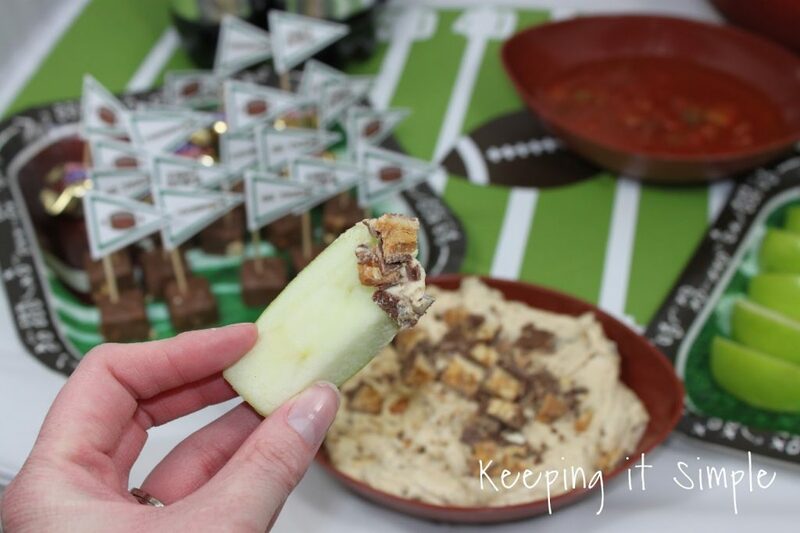 If you are watching any of the footballs games these next few weekends, make sure to try out this awesome dip, you won’t regret it! 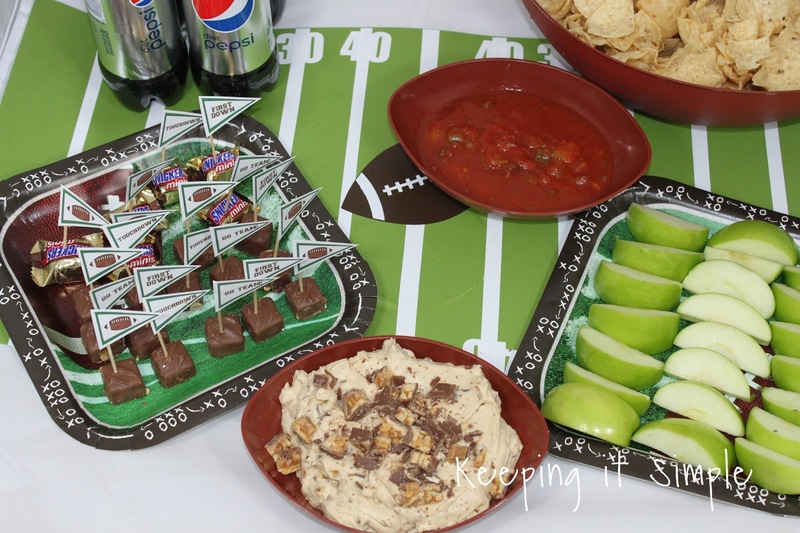 And check out the Safeway website for more inspiration for game day foods!